The hydrangea is making a notable comeback. Since the flower was forgotten over the last century, it is now being planted in gardens more frequently. 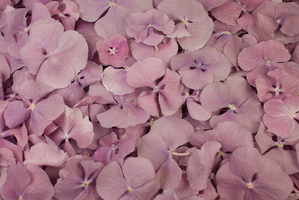 Sweet Colours also offers you the opportunity to enjoy these colourful flower petals for much longer. How can we do this? By freeze-drying them! 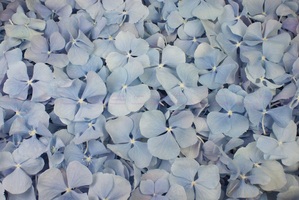 Freeze-dried hydrangea petals are perfect for use as table decoration and serve extremely well as confetti at weddings. They are attractive, elegant and also very chic. 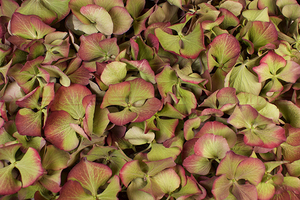 We have a large stock available throughout the whole year which means that, from now on, you can also use the hydrangea outside its normal season. 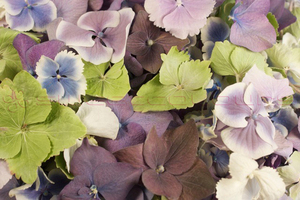 The petals come in white, green, blue, two tones and pink; in fact in every colour combination imaginable (lovely with our Candy pink rose petals). 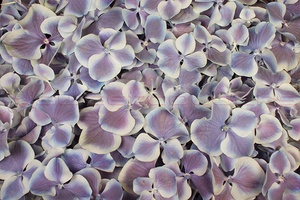 Use our ‘Free sample service’ if you want to see and feel what freeze-dried hydrangea petals are really like first. Furthermore, just like our rose petals and preserved roses, this product is 100% biodegradable. TIP: Do you want the look of luxury? 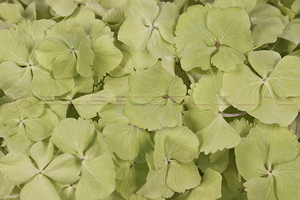 Use our elegant green hydrangea petals in combination with our freeze-dried ‘Vintage pink’ rose petals.